Small - $66.99 Medium - $66.99 Only 5 left! Large - $66.99 Only 7 left! Whether vampires become glamorous after transformation or the glamorous are typically chosen to become vampires is one of those chicken-egg arguments. Glamor has seemed to be linked with vampires since the beginning. Even Dracula wore those fabulous black, red silk lined capes. Who knows if he was a check shirt, pocket protector wearing kind of guy before he became a famous monster. We know that the countess started out as a fashionable socialite, rubbing elbows with societies upper crust. She does seem to emit more glamor once Rudolph Valentino seals her blood sucking fate. Her immortal transformation was pretty smooth for someone as fabulous as her. She was a fan of vampy ensembles before she even was aware of the "precious virus" that would make her a vampire. Years after the transformation she even feeds in haute couture fashion, her glove replacing the outmoded way of biting a victim. Biting victims is so 1930's, it was high time some forward thinking vamp thought of an update. Of course, life is never simple, even when you have a wardrobe as extravagant as the countess's. If you are balancing as many blood sucking followers as the countess has gathered you're bound to gather some enemies as well. It's not all moonshine and roses, you've got to keep your perfectly coiffed head on straight. 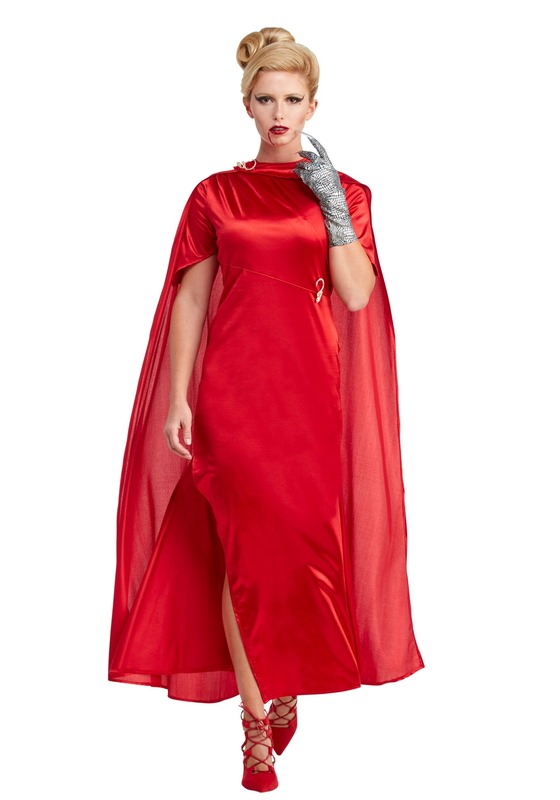 This Halloween, take on that glamorous air the countess used to build her empire. Just remember the words of the countess when you're rocking this gorgeous gown, "Goddesses don't speak in whispers, they scream".